Wireless remote control receiver universal 2-channel receiver YET428PC,replay output on / off switch signal,it can make two equipment achieve on/off switch. 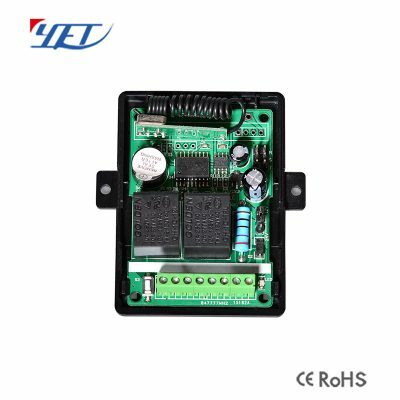 China factory wireless remote control receiver universal 2-channel receiver YET428PC suitable for garage doors/ shutter garage. 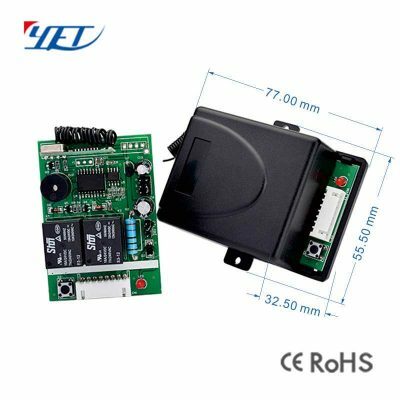 Wireless remote control receiver YET428pc , replay output on / off switch signal , it can make two equipment achieve on/off switch or make the motor to be positive-negative rotating. 2. 12 / 24v optional. 3. Popular appearance in the world. 4. Signal delay 3 seconds , interlocking , latching , momentary optional. 5. Working with learning code , fixed code and rolling code. 6. Terminal and connector optional. 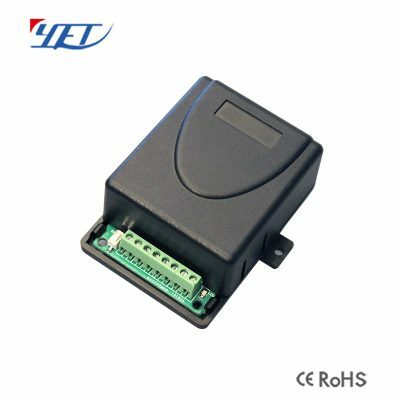 Yaoertai ?Technology is professional designer and qualified manufacturer（factory） of the automatic door control systems with 13 years experience . 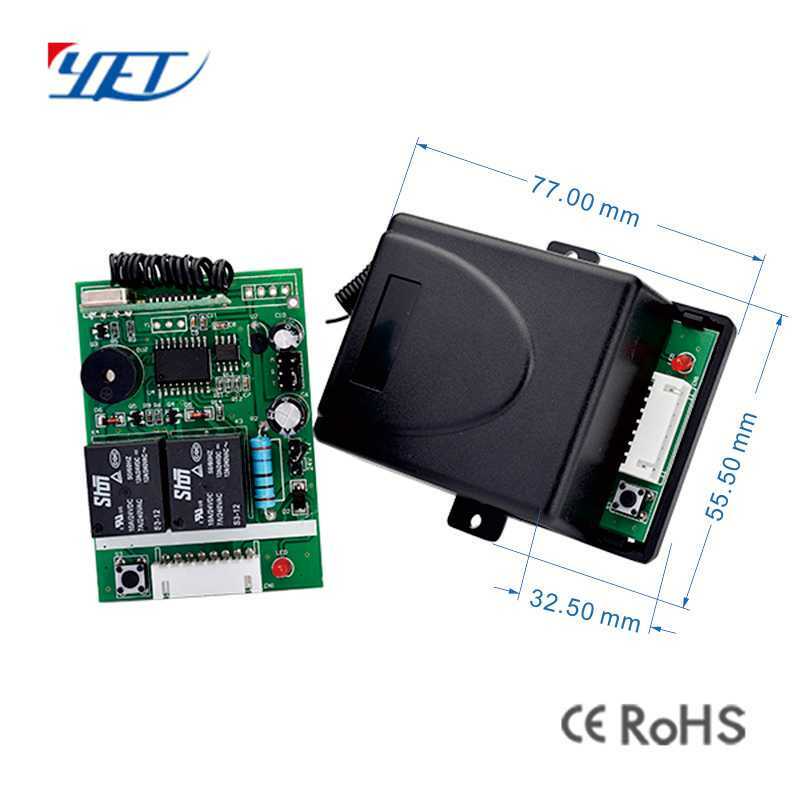 -Rolling shutter controller board and other accessories. 1. Are you a manufacturer? Yes,we have our own factory, production line, SMT machine and R&D department. 2. Do you provide OEM? Yes,welcome?to?our?company.?? 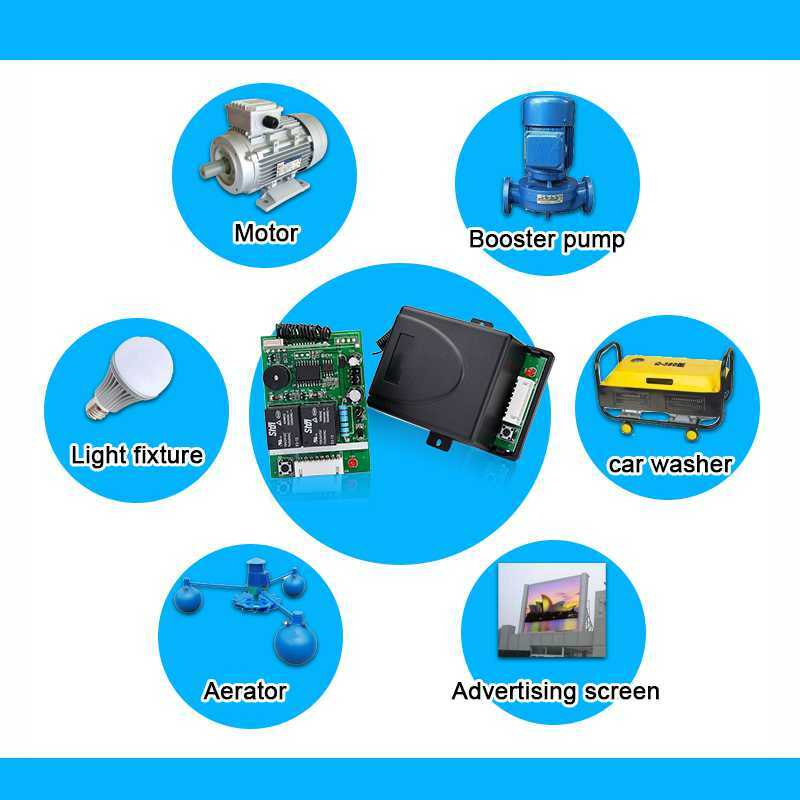 ?The?address?of?our?company：5th and 6th floor block 27,lianchuang Technical zone , Bu Lan road, long gang district, Shenzhen , R.P. China. 4. Do you have R&D Strength ? Publish new items per 2 months,10-year experience , almost 100% success rate. 5. Do you have Complete&strict QC system ? 4-10 years experienced offers,complete QN system including IQC,IPQC,FQC,QN,and QE. 6. What Certification do you have ? 7. What are your main products? We are specializing in remote control, receiver, receiver module and smart home system etc. If you have any need, please feel free to let us know. 8. When is your company established? We are established in 2005. We already have 13 years experience in this filed. 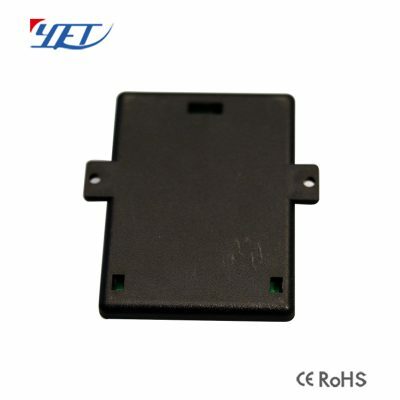 How to layout the wireless transmitter module best?